No doubt if you've stumbled upon this blog post you've probably got an email from Google suggesting that you fix a bunch of Mobile Usability Issues. Long story short - you should. Rarely do bulk message blasts get sent from Google that often so it's fair to say that the upcoming ranking signal is going to be pretty serious, and not something you should ignore. The "mobile friendliness" (MF) ranking signal kicks into effect on April 21 so you've not got long to sort things out. No idea what I'm talking about? Test your site now. 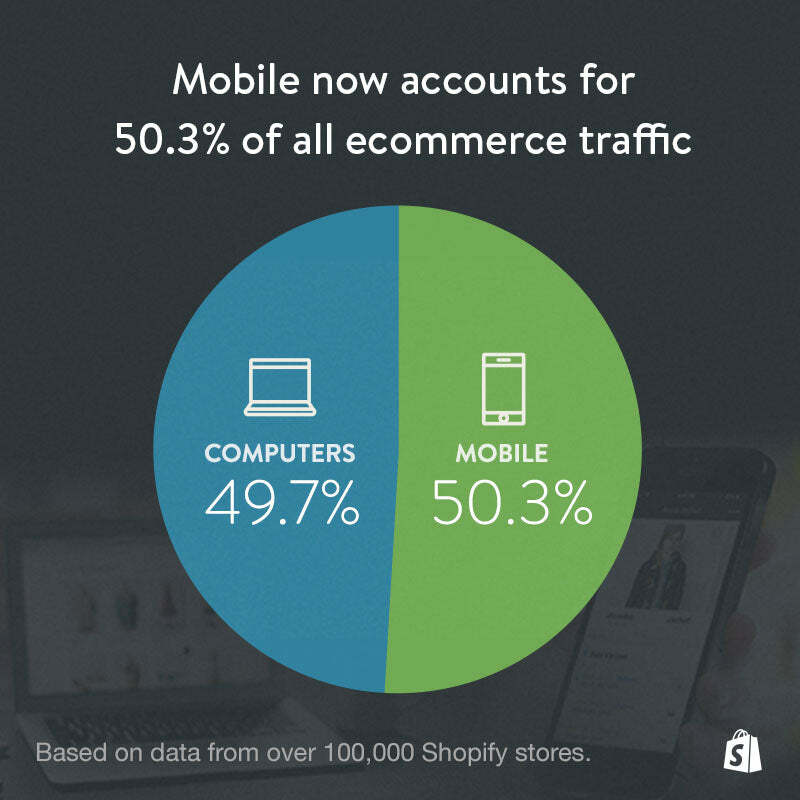 If you don't have a mobile friendly store this email should be the wake up call you need. Commerce sites are seeing massive mobile user growth and conversion across all demographics so you'd be rather crazy not to open your doors to those users. If you're not caring about those users, your competitor likely is. What this signal is going to mean for Shopify stores and commerce sites in general is still unknown (as always until it launches). Worst case is is that a site that shows 100% MF failure may drop off the mobile search results completely. That doesn't seem likely, but you know whatever happens it's going to sting you at least a little. Even if you don't notice a drop in ranking don't forget about the "mobile friendly" label that appears on the Google search result itself. If a customer is choosing between clicking on a link for store A vs store B on mobile you could bet that they'll lean towards the one marked as mobile friendly first. So your ranking my be fine, but your sales conversion rate will sink. Thankfully all themes from the Shopify Theme store are now pretty good with their MF standing. I've even done the tests for you on a bunch of themes in the store. All passed the basic MF test. Edits and tweaks a store owner makes to their theme can make more serious MF issues creep in so just because it was mobile friendly does not mean it is now. If it's not be made clear yet, test your site. If there is an issue found and it's a result of your own edits don't expect a theme upgrade to save the day here -- take action and sort it yourself. If you don't know how get an expert on board. Older Shopify themes won't fair quite as well and I'd guess in most cases would be those showing the scary 100% failure mark. These themes no longer appear in the theme store. "Ah, ! @#$ , I've got a MF failure. What can I do?" Figure out what's wrong first and foremost and talk to expert about adjusting your theme code, or DIY should you be handy that way. If you need some help wrestling your site into the land of mobile friendly feel free to drop me a line.